This brings IPS to 27 locations in North America. The new service center gives IPS and our customers 25 locations across North America. IPS acquires Industrial Repair Division of Higgins Electric, Inc.
Sixth strategic acquisition (and 24th location) expands IPS services in Gulf Coast region. New location offers complete in-shop repair, field services and distribution to northwestern PA and western NY. One of three simultaneous acquisitions expands IPS service footprint to Canada. New IPS location adds muscle to the company’s services for the regional petrochemical market. Leading independent wind energy specialists join the IPS network of service locations. Power services company specializing in large and extra-large motors and generators joins the IPS network. First IPS acquisition adds leading regional specialists in small motor repair and precision machining to the company’s service network. Reliance Electric Power Services becomes Integrated Power Services. As the former power services unit of Reliance Electric, a leading manufacturer of electric motors, IPS started with the following eleven regional service center — Birmingham, Chicago, Cincinnati, Denver, Houston, Philadelphia, Washington, PA, Portland, OR, Rock Hill, SC, Rock Springs, WY, and Shreveport. Rockwell Automation sells Dodge/Reliance Electric to Baldor. Baldor sells Reliance Electric Power Services to The Riverside Company. 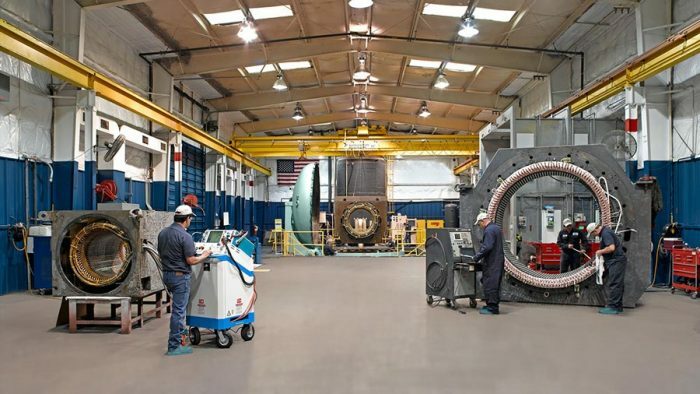 Houston Regional Service Center installs the country’s largest VPI tank, for high-quality manufacturing of larger motors. Rockwell Automation acquires Reliance, pairing the company with Allen-Bradley to form Rockwell Automation Drive systems. Reliance becomes nation’s largest industrial motor manufacturer, acquiring Medium AC Motor Division from Westinghouse Electric. Reliance expands mechanical portfolio with acquisition of Dodge Manufacturing Company. Company expands with acquisition of Reeves Pulley and the Master Electric Company, adding line of mechanical power transmission products. Reliance serves as primary supplier of motors to the military, particularly the Navy, during World War II (also supplies motors for assembly lines in tank factories). Reliance introduces first electrical variable-speed drive. Reliance enters the AC market with modification of General Electric enclosed, fan-cooled motor. Reliance begins to emphasize applied engineering and technical expertise as key differentiators. Company is incorporated as Reliance Electric and Engineering. Reliance Electric founded in Cleveland, OH, as Lincoln Electric Motor Works, a manufacturer of DC electric motors.